Deirdre Fitzpatrick is married to a man who wants to know where she really goes when supposedly taking care of her sick mother. He calls on the expertise of Kate Shackleton, amateur sleuth extraordinaire to investigate. Kate Shackleton is a sleuth all unto her own. She is smart and she is so ever determined to solve mysteries and make the best out of a bad situation for her clients. She has a fierce competition with an inspector of some regard at Scotland Yard and she is determined to best him at every turn. She has to be one step ahead even when the clues are puzzling and perplexing and nothing seems to be going right. Kate's friend's husband is found dead in a local hotel under quite the mysterious circumstances. She is brought in to help Scotland Yard with their investigation and then told to run along and do something else. Of course, as headstrong as Kate is, that doesn't sit too well and she sets out to discover a murderer at any cost. I enjoy this series. Some of the books in this series are better than others, but I thought that this book was actually a splendid read. I stayed up late to finish this book as I couldn't go to bed until I had a resolution. Books like that tend to rate high on my list. This series puts me in mind of a classic English mystery. Kate Shackleton is a little like Maisie Dobbs, but she has really defined herself and put herself on a different level than Maisie. Kate is compassionate about her work and the people who hire her and she is determined to see every single case to the very end. I like her reasoning and her connections with the other characters in the book. It makes her seem like a realistic character who I wouldn't mind calling my friend. There was only one flaw in this book that I could find. There was one detail that wasn't quite properly wrapped up for me. I don't want to give away too much information as it might spoil the book for other readers, but I finished the book and was like "well wait..what happened with...." That put me off a little bit as I felt like the resolution didn't take care of every single aspect of the mystery, even if it was a minor detail and not overall needed for the solving of the mystery. Other than this little thing, I found the book to be a delightful read that was a perfect mystery for a gloomy and rainy Sunday. 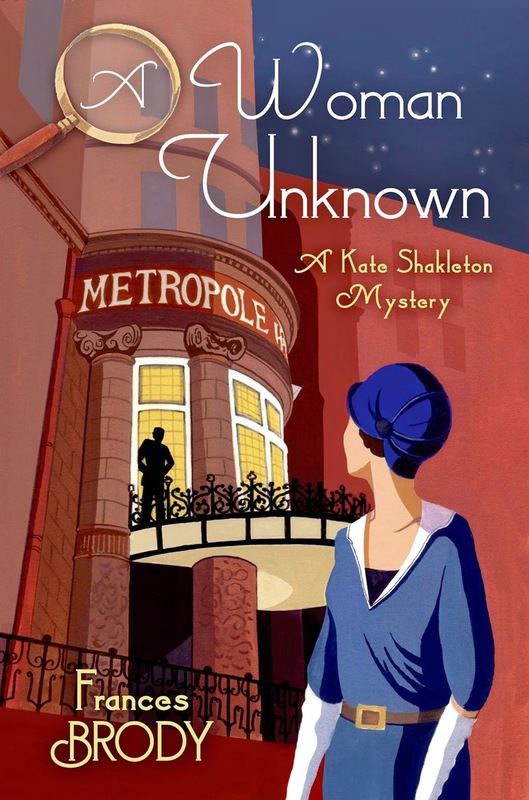 "A Woman Unknown" features investigator Kate Shackleton in 1920s England. The author places us in the 1920s with her descriptions and actions of the characters. The story line kept me reading while learning about aspects of life in the 20s. The mystery had a twist to it which I didn't expect. I've been reading this series sequentially and recommend this highly to mystery readers.